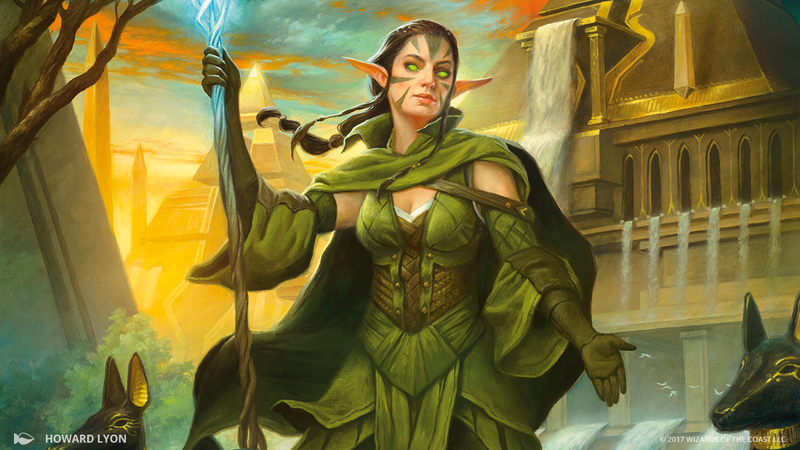 Driven, devoted, and deeply connected to the land, Nissa Revane wields elemental magic. She's able to channel the mana leylines of a plane and to bring the land to life. When she was young, Nissa was shunned by her native elven village for her fearful visions and druidic powers. She left to follow the voice of the land itself-Zendikar-which was asking for her help to cleanse the dangers that slept within it. Zendikar sent its elemental embodiment to teach Nissa to connect with the land and channel its power. 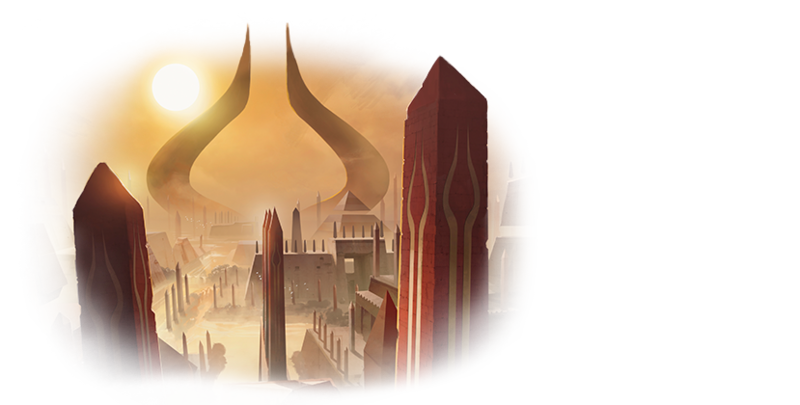 Armed with these new abilities, she attempted to commune with the dangers within Zendikar-the Eldrazi titans. Their immense power bent her mind, and in that moment of danger she made her first planeswalk to safety. Her compassion and fierce determination to defend Zendikar drove her to seek aid from other planes across the Multiverse. After returning home, she began to wage what seemed like an unending battle against the Eldrazi and their spawn, who threatened to devour the plane. It was a battle she couldn't win alone, and she will forever be grateful for the help of the other Planeswalkers who arrived to fight at her side. Now she has sworn an oath and joined the group of Planeswalkers known as the Gatewatch. 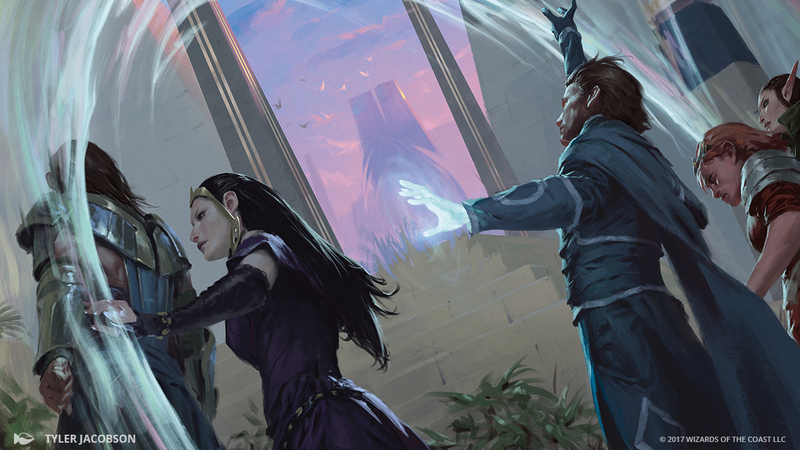 Together with Gideon Jura, Jace Beleren, Liliana Vess, and Chandra Nalaar, Nissa travels the Multiverse fighting for the sake of the myriad worlds and all the life that inhabits them. Fiercely loyal, unyielding, just, and charismatic, Gideon Jura doesn't hesitate to enter combat to defend the innocent. A powerful warrior-mage with the ability to make himself invulnerable, he wields a four-bladed surral and hieromancy magic against his foes. Brilliant, curious, and always in control, Jace is a master of mental magic: spells of illusion, deception, and mind reading. An adept analyst, he has an optimized plan (and a backup plan) for every situation.